Friends.. Here are some repeatedly asked questions from Computer Knowledge Section useful for preparing for upcoming IBPS RRB PO and IBPS PO 2015 Exam. You can expect similar questions in the exam. 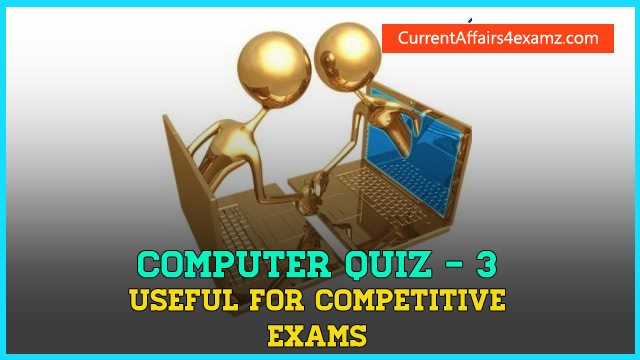 Also our online quiz provides you the real time score. Attempt the quiz and share your score. 1) A computer’s clock speed is measured in? 2) The computer size was very large in? 3) Which of the following code used in present day computing was developed by IBM Corporation? 4) A directory within a directory is called? 5) Web site is a collection of? 6) Which of the following is not an input device? 7) Which of the following are types of sound files? 8) The server on the Internet is also known as? 9) Internet Explorer is a? 10) USB in data cables stands for?